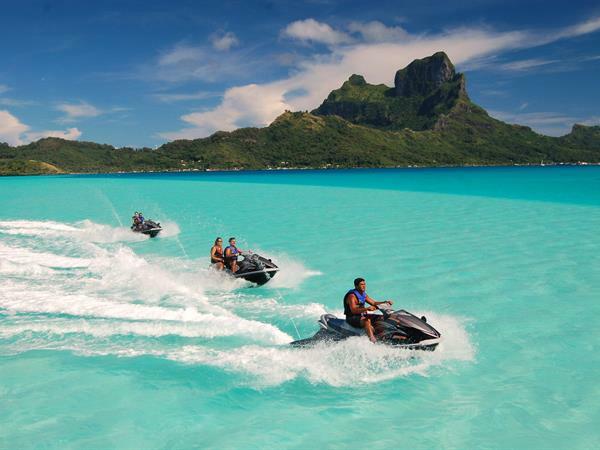 Accompanied by an experienced local guide, cruise Huahine Islands lagoon waters on jet ski. 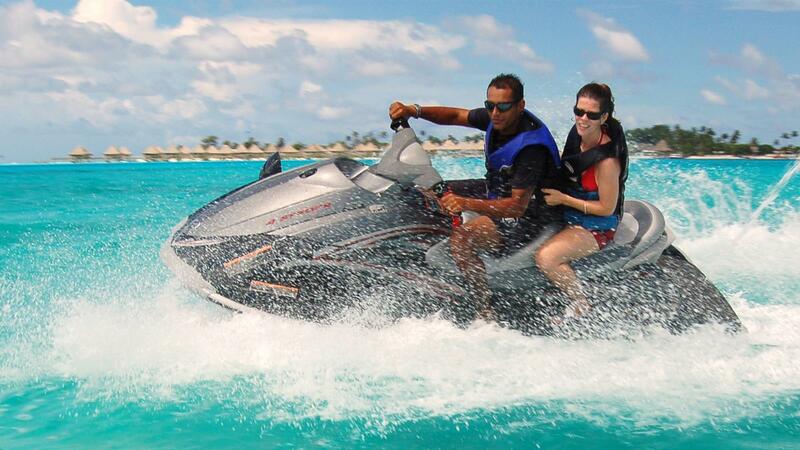 This unique tour allows you to experience the unparalleled treasures of aquatic life that abound in these spectacular waters. Discover schools of stingrays, measure the speed and agility of an eagle ray - you may even cross the paths of a black-tip reef shark. The Tour includes a visit to a motu to enjoy a cocktail and fruit tasting.